One of the most successful and recognizable Fulton County Community Prosecution initiatives is the Citizens’ CourtWatch program. Often dubbed the ‘eyes and ears’ of the community in court, CourtWatch was created by District Attorney Howard as a vehicle to engage average citizens in the criminal justice system. As Community Prosecutors track cases involving repeat offenders and those of general interest to the community, CourtWatchers are encouraged to attend court proceedings and, when deemed appropriate by the Court, offer perspective regarding the impact a defendant’s criminal activity has on a community. Each spring, the District Attorney’s Office hosts its annual CourtWatch training program where citizens receive a crash-course education in judicial processes and felony case proceedings. The annual training session is typically held at the Fulton County Justice Center Tower: however, mini-training sessions are offered at rotating venues throughout the County during the year and are open to all Fulton County residents. 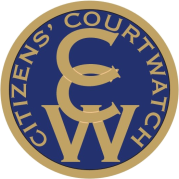 To schedule a mini CourtWatch training in your area, or to learn more about becoming a Citizens’ CourtWatcher, email us at courtwatch@fultoncountyga.gov. I hope this email finds you well. It is with great pleasure that I introduce your new CourtWatch Director, Ms. Krystal Lunsford! Below you will find a snap shot of who she is, where she is from, and some of the things she wishes to achieve as your CourtWatch Director. Krystal is a native of Atlanta, Georgia. She was raised in Zone 3 of Atlanta, where she attended Carver High school. She attended college in Zone 1 and attended Law school in Zone 2. Krystal’s family also resides in Atlanta, Georgia. She earned her Bachelors of Arts in Psychology from Spelman College and her Juris Doctor degree from Atlanta’s John Marshall Law School. 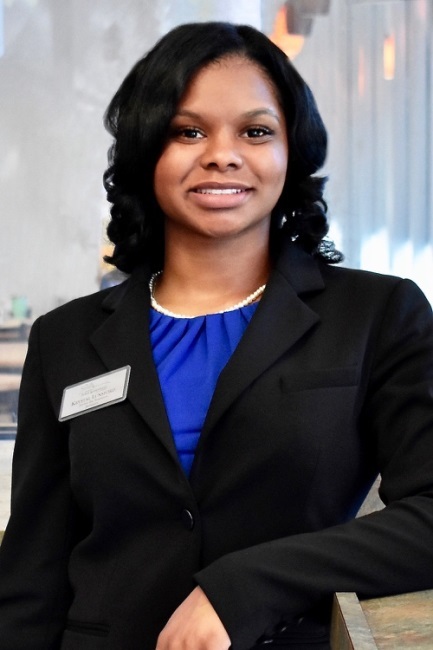 While at Atlanta’s John Marshall Law School, Krystal had the pleasure of being a part of the Street Law program. The Street Law program is an interactive program, partnered with the United States Attorney’s Office for the Northern District of Georgia, held at Booker T. Washington High School, educating high school students about democracy, law and conflict resolution. She was also a part of the Student Bar Association, in which she had the pleasure of serving as the Secretary. Krystal is a Court Appointed Special Advocate (CASA), in which she volunteers with the Fulton County Juvenile Court, advocating for children in the foster care system. Teaching citizens about the Fulton County Judicial System, while promoting their engagement in the judicial process. All of which, she expresses, will not be possible without the help of each one of you! Krystal is excited to be your new CourtWatch Director and getting to know each of you. She looks forward to attending your community events and assisting you in advocating for your Fulton County community! Thank you all for being a part of the CourtWatch initiative, and a voice for your community. Please feel free to contact her should you have any questions or concerns.